Two years ago “This is La Vergne” mailed candidates a number of questions from the community. The candidates were asked to reply by a certain date and then – in order of receipt – the answers were published on this site. Two of the three candidates that did not take the time to answer were defeated in their election attempts. We would ask early on that all candidates who are running give very serious consideration to replying to the request. So far there has thankfully been an absence of public negativity by the candidates. In my personal world, the second a candidate goes into attack mode, they lose my vote. Now that’s different from defending themselves against attacks by others – whether by other candidates or by voters or by gossip. If that happens, then please do defend yourself. What are your thoughts, La Vergne? ← How About That Park in Lake Forest? How do you feel concerning the current state of the high school’s running? 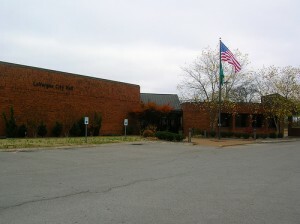 Do you think the city of Lavergne should go after the people whom owe the city money wheather it be a small amount or large? Would you be open to a public debate with questions asked by the citizens of Lavergne and if not why? I would love to hear those candidates that are running stating that they will “do something” about the property taxes and the water/sewer rates to detail out specifically what they would do and how they would do it with as many specific details as possible. Also, education was a a big discuss point a few months back so each candidates education. My question would be since everyone has the ability to do research. The number one complaint seems to be the water and sewer rates. What if elected is you plan there? Are you going to leave it alone? Do you have a plan that can lower rates? Also since the tax rates has increased how will you handle that issue? Leave it TE same lower it or what? If you do lower it how do you plan to generate revenue to keep the city moving forward?? What could/would you do to help improve the reputation of La Vergne? I would prefer to hear it directly from the candidate… I can’t afford spending $29.00 on info that should be free! Would you have raised my taxes 2 years ago? You better be honest and back up why you would or wouldn’t. I concur Jason and Cricket. For the ones running for the first time, if you had been an alderman during the raising of the water/sewer and the taxes, if you saw that it was something that was really necessary would you have voted to do it or would you have voted against to please the citizens that were so against it? I too would like to know in what way you have been involved with the city? Do you have insight into the problems of the city and if so what will you do differently to move the city forward while keeping the citizens from any more burden being put on us. That was pretty much my question, but you “worded” it more eloquently than I did. Nice job!!! What would they do to work to bring businesses to the area. I agree with question above by Sarah. How many city meetings and workshops have they attended. What are said canidate’s going to do to make La Vergne the best it can possibly be? Given the situation of diminished revenue, a failing infrastructure, rising costs what would your solution be for the city given that every department has made cuts and most are understaffed? If you win the election for alderman, which of the other candidates would you prefer to win as well? Do you have new green plans for the city, such as tree plantings or installing solar panels over city parking lots? What steps would you take to increase La Vergne property values? (my home is worth less now than what I paid for it in 1999!) Good answers might include improvements such as the Lake Forest play ground, making Hurricane Creek Boat Landing more of a complete rec area, etc.